1990-1993 Band Director, Chorus Director, and General Music teacher at Newtown Middle School, Newtown, CT.
1993-present- Naugatuck Public Schools. I have taught 3rd Grade Chorus, 4th grade recorders, fourth grade general music, middle school chorus, and middle school band. I am currently the instrumental music teacher for Hillside Intermediate and Cross Street Intermediate Schools. I held the position of Conductor and Bandmaster of the historic Second Company Governor’s Foot Guard Band, est. 1775 in New Haven from 1995-2010. It is one of two Official Military Bands for the State of Connecticut and the Governor. I held the rank of Chief Warrant Officer and my duties included overseeing all musical units within the Second Company Governor’s Foot Guard. 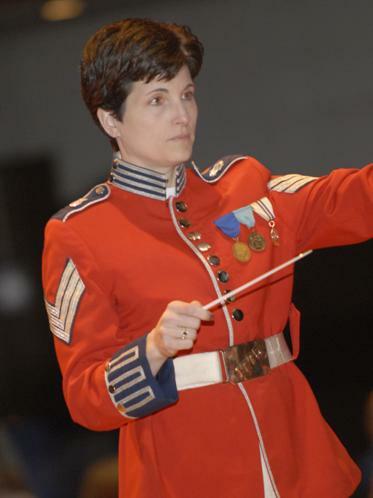 My husband, Robert Pettinicchi, a retired band director from the Watertown Public Schools, was the Assistant Conductor and Chief Percussionist for the band and held the rank of Master Sergeant. I am also a professional trumpet player. Some of the groups I have performed in include the New Britain Symphony, Waterbury Symphony, the Waterbury Municipal Band and the Fulton American Band. I have two children, Joey age 10 and Katie age 8, and a Cocker Spaniel named “Ruby” that we rescued from a shelter two years ago.